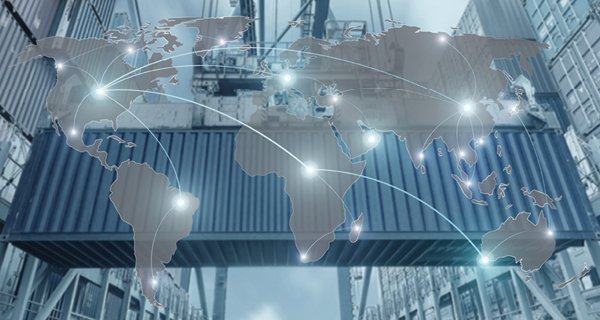 How Global Trade Management (GTM) solutions automate complex international supply chain sourcing, logistics, cross-border trade, and regulatory compliance activities. If your company imports or exports physical goods or digital products, or conducts global e-commerce, there's an excellent chance you need a global trade management (GTM) system. During the middle of 2016, the world's 20 major economies implemented an average of 17 trade constraints monthly, reports the World Trade Organization. At least one dozen agencies in the United States alone implement trade embargoes against approximately 30 countries. The United States also imposes list-based sanctions in response to terrorism, diamond trade controls, narcotics, nuclear proliferation, and transnational criminal organizations. Add to that an ever-changing list of tariffs, involving not only the United States but also between other nations involved in their own trade disputes. Penalties for non-compliance range from a low five-figure slap on the wrist to fines big enough to get the attention of the largest multinationals. Some companies--surprisingly, many large ones--try to manage global trade and logistics manually, with staff poring over spreadsheets full of data. But the ever-expanding complexity of global logistics, and the risk of fines and other legal consequences, are driving growth in the GTM sector. Choosing from among the many global trade management (GTM) offerings can be confusing. What features does your company need, and what can you do without? Here's a list of necessary and optional features to help you analyze the GTM options on the market. Supplier management: Easy interface to manage suppliers. Transportation management: Database of freight rates for use in insurance, landed cost, freight audit, and days in inventory calculations. Booking functionality: Ability to book cargo with transportation providers. Event management: A network with a data quality layer to provide in-transit visibility and management. Compliance content: Understands changing government regulations. Analytics and reporting: Decision support. Foreign Trade Zone management: Not every company needs it.